Last Thursday Julie and I did some spinning out on the deck again. 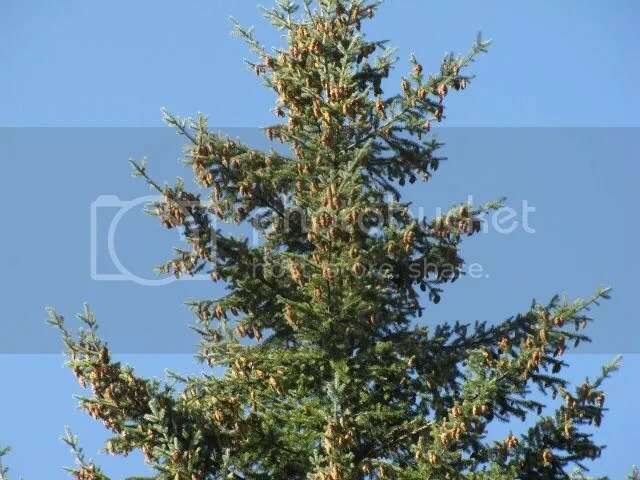 The weather was wonderful, bright sun shining, birds singing, leaves of the Oregon Big-Leaf Maple rustling in the breeze. 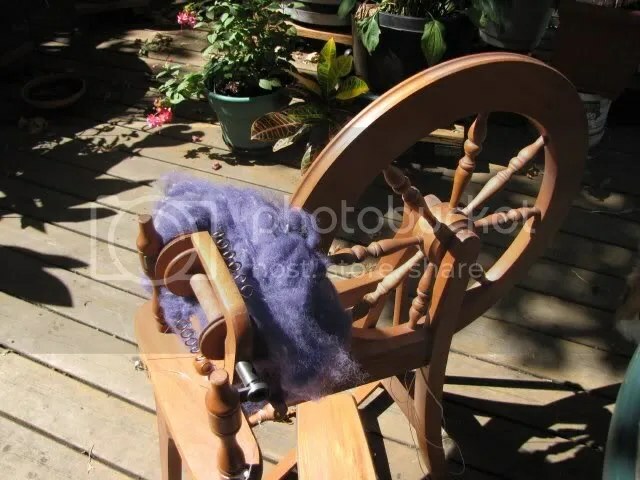 Julie wanted to spin some nani purple wool she’d bought on eBay awhile back. But first she wanted to wind the yarn she’d previously plied into a cake. Yeah, that’s what you call it. 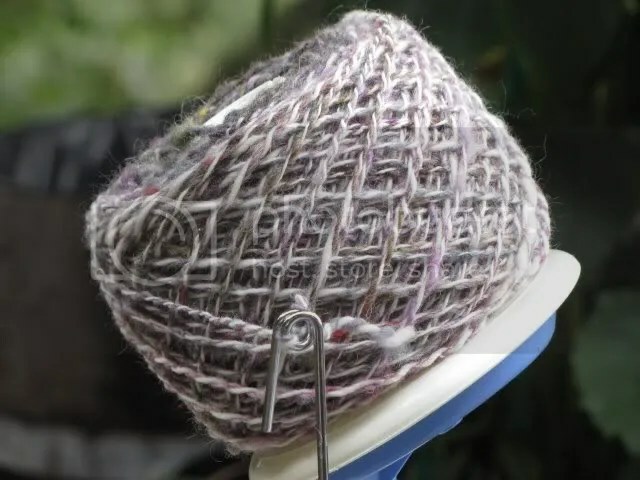 A yarn cake. Even though you do it on a ball winder. Wassap wit dat? 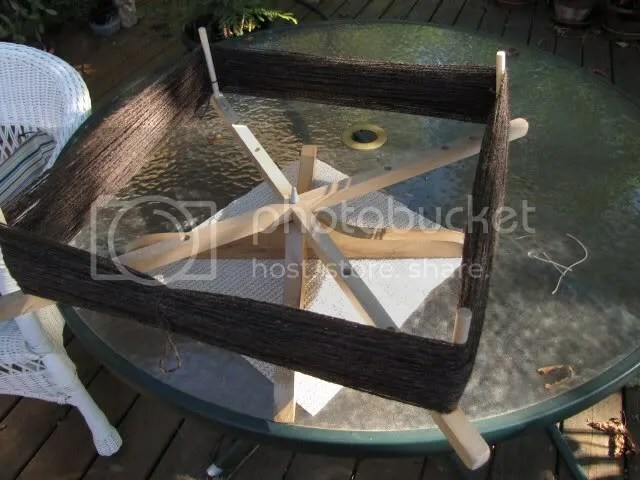 Winding the yarn from the swift onto the ballwinder. 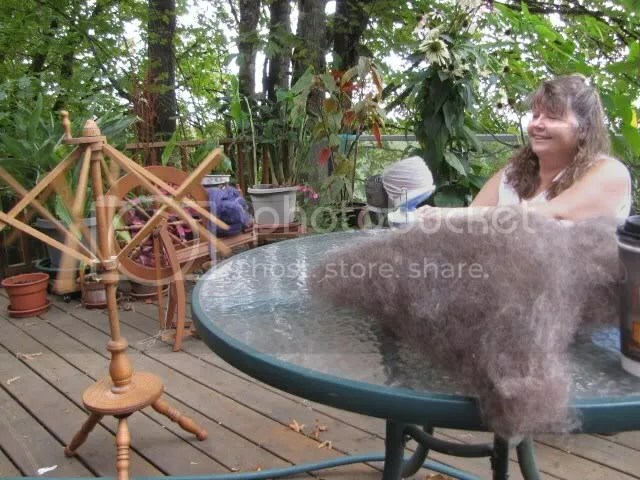 That’s ‘Ele‘ele’s fleece on the table. 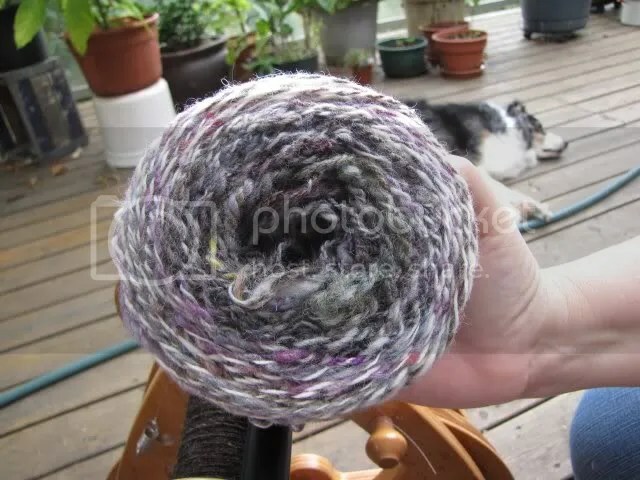 I will finish spinning it today. And here’s the finished ball/cake/da kine! Try look da inside… and notice how excited Kukui is about the whole thing! 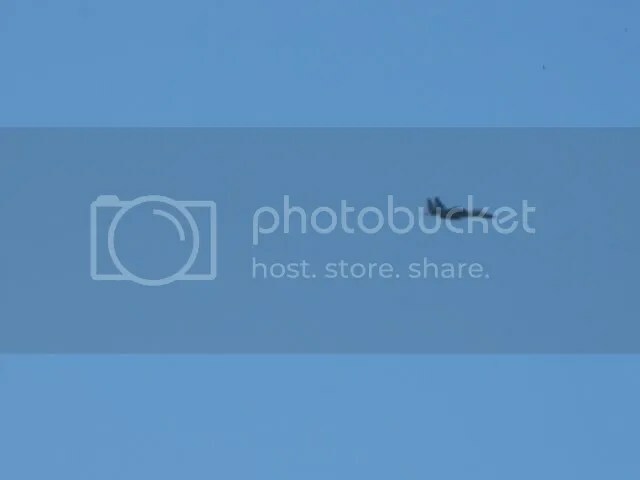 We noticed a couple of F-15’s flying by as they regularly do on Thursdays. I always send up a thank you to these brave men who protect us. 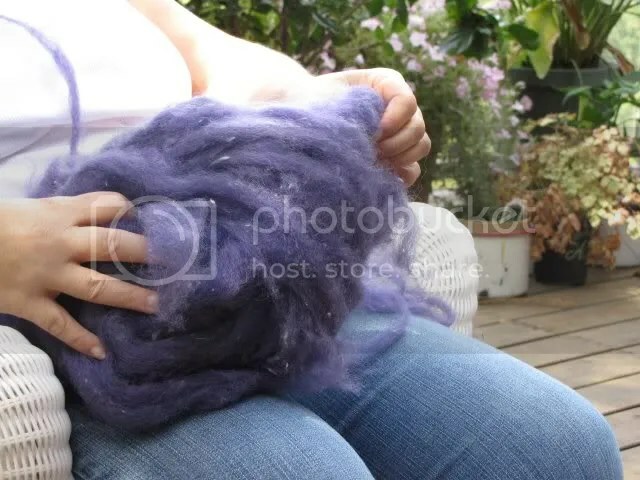 Here’s Julie getting ready to start spinning da nani purple bump. Yes, that’s what it’s called. A bump. No ask me why; I don’t make up da names! 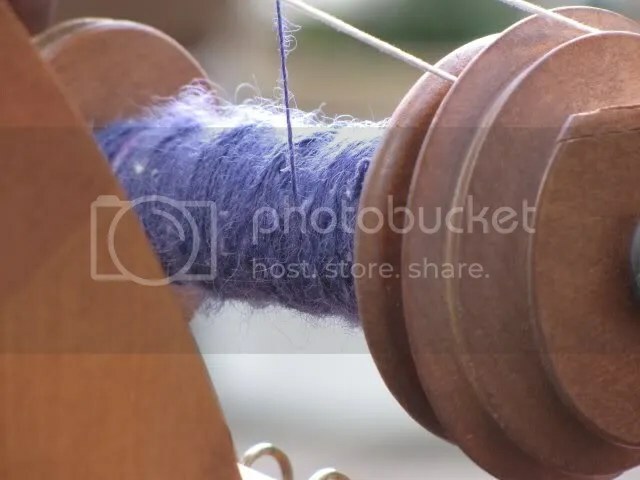 Try look how nani da yarn! 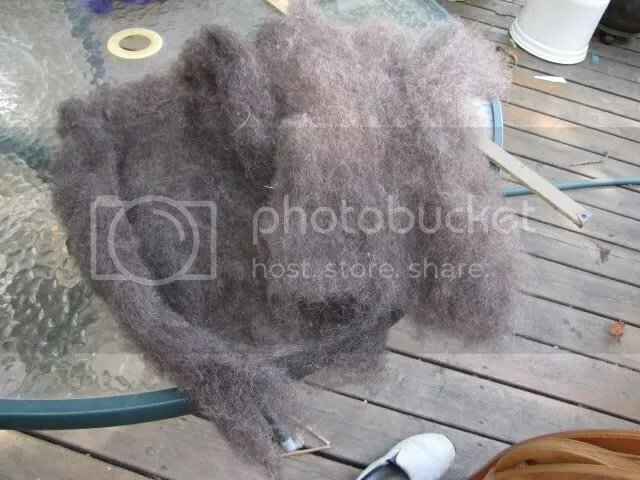 Here is the last of ‘Ele‘ele’s fleece. See how part is light and part is dark? Still all from the same sheep! 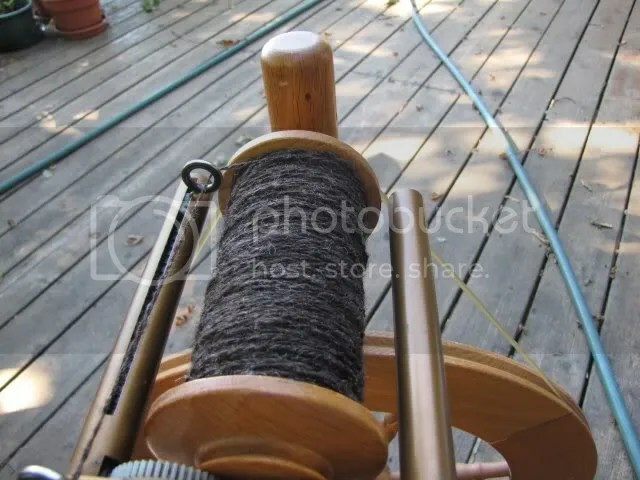 Once I pau spinning this, I will be ready to ply two bobbins of singles together to make yarn. Okay, I’m pau spinning the singles. 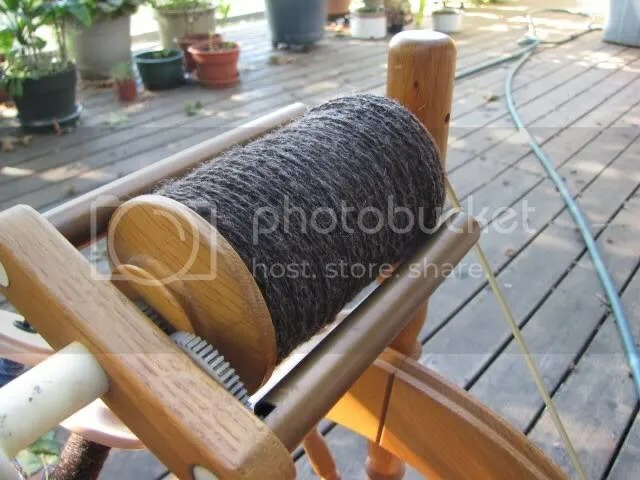 Now I am plying both of them together (in the opposite direction than how I spun them). The bobbin is filling up! About this time, Julie had to go home so I went inside and did some stuff. I was having a pretty hard day… this grief process is not an easy thing to go through. I was pretty weepy so went back outside on the deck to finish plying. 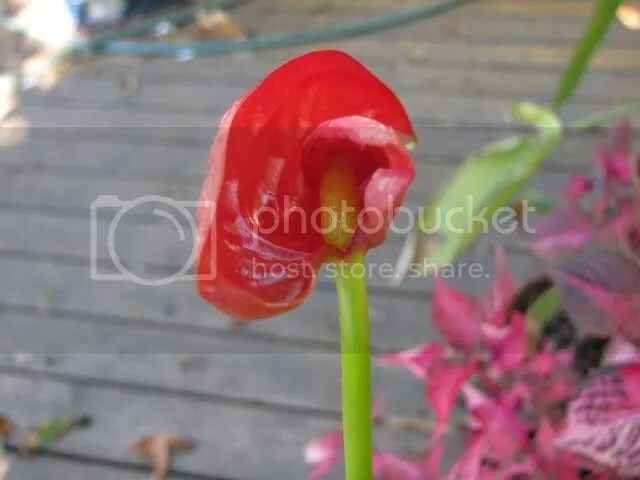 I noticed that I had a brand new bud on the anthurium! That gave me a smile. 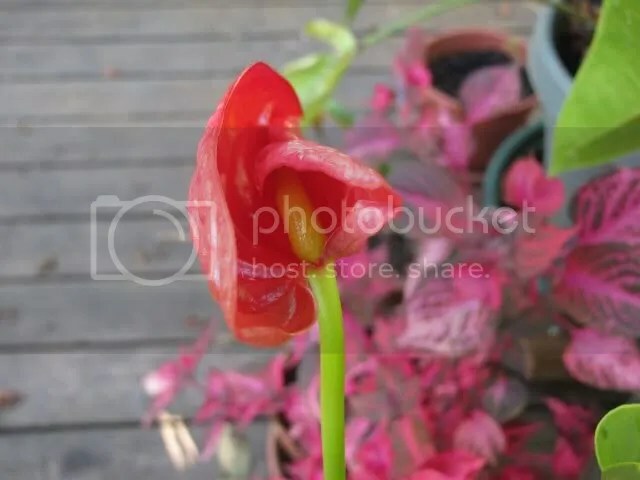 I love the way the stamen is kinda tucked away inside the curled up leaf. Kinda like me at this time in my life… not really opened up to the rest of the world yet. I kept plying out there, weeping while I did. 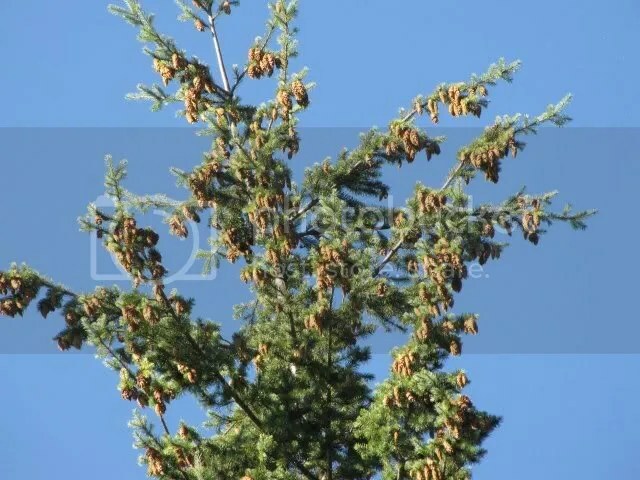 Then I looked up and saw all the fir cones on the trees. 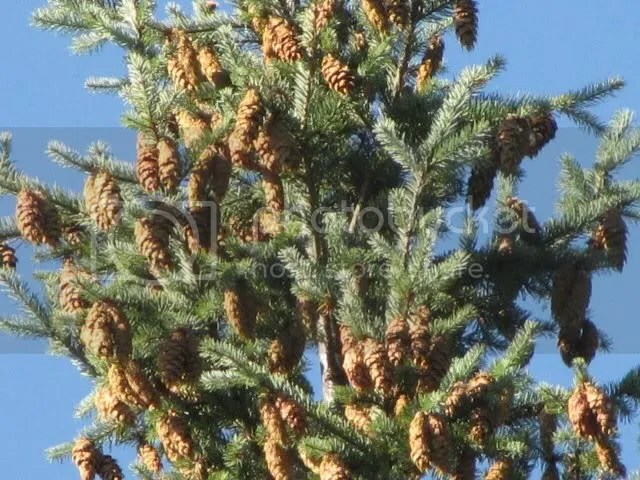 I used my telephoto lens to get a bit closer. And closer still. Truly, life does go on. 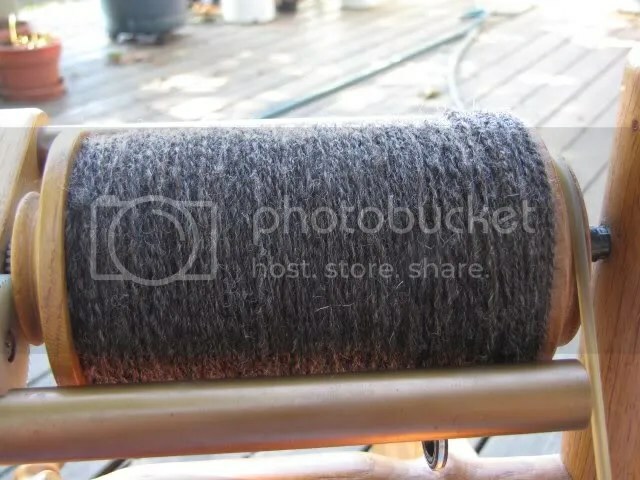 I finished filling up the bobbin with real yarn! 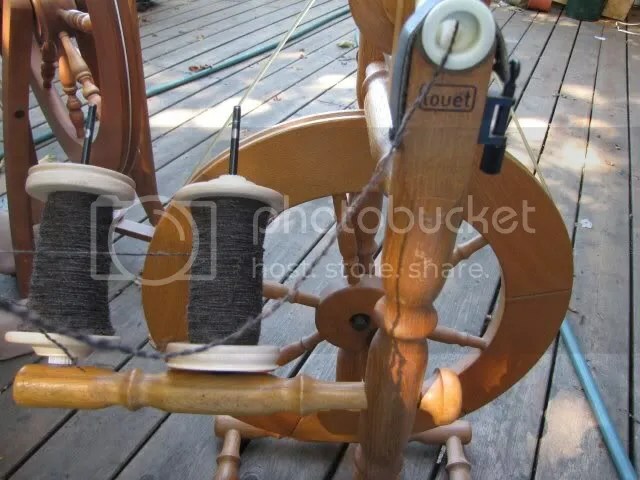 My bobbin was as full as it could possibly be. I wound it onto my swift. And then twisted it into a skein. I am inordinately pleased at how well this yarn turned out. ‘Ele‘ele is now in sheepie heaven, but now she will be with me always, helping to keep me warm. I miss her. I miss my mom. But this is a very healing experience for me. Mahalo, ‘Ele‘ele. Mahalo, ke Akua. Her yarn is beautiful! I love that dark charcol grey!! 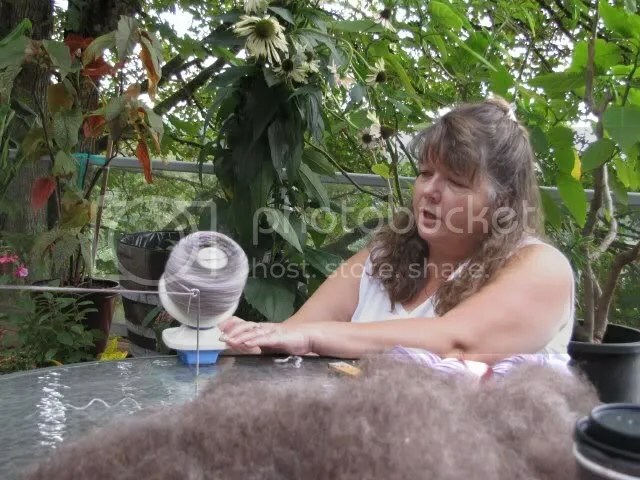 What a healing process, the spinning. Big hugs to you darling. Your yarn looks wonderful! 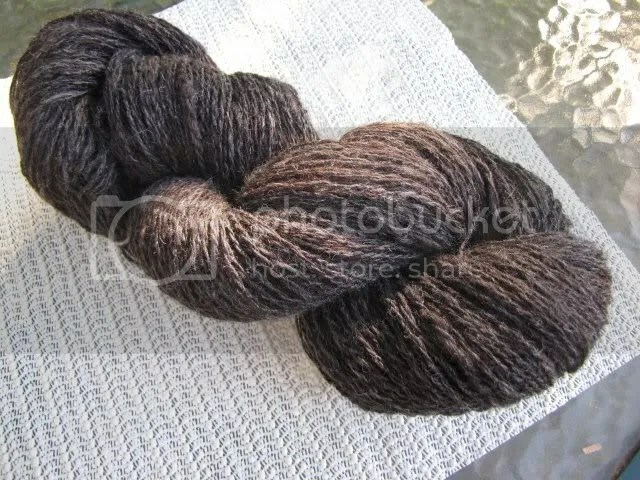 What would you knit with it? 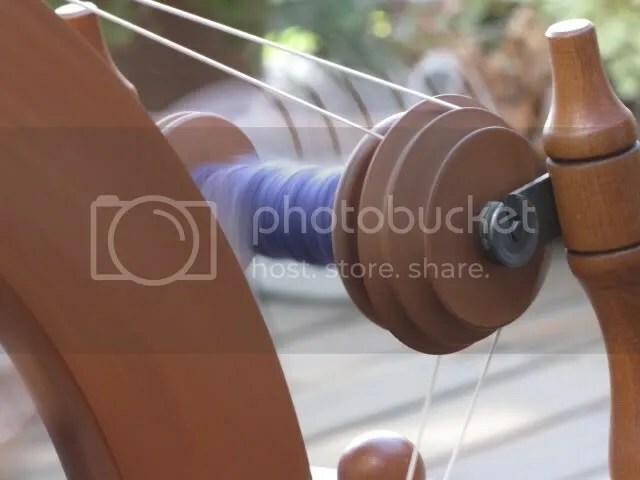 I recently started spinning again, and I have found old wounds opening for healing as I spun. There is something truly good about the process, eh? I admire the way you are literally working through your way through your grief. Hugs to you, Moki-chan. 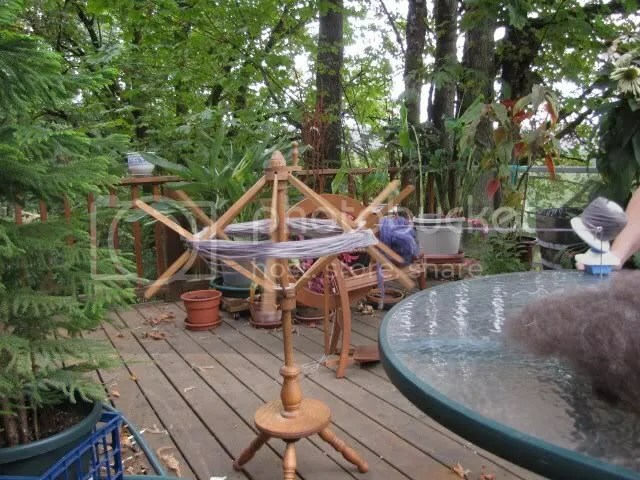 tis a most pleasant thing, spinning. Very theraputic. it does take you away from your everyday cares for a bit.